We did get to howdy up with a bunch of our old friends and neighbors and that's always good. The picture tonight was taken by my lovely spouse. It's a lily that Jilda's mom planted 30 years ago. 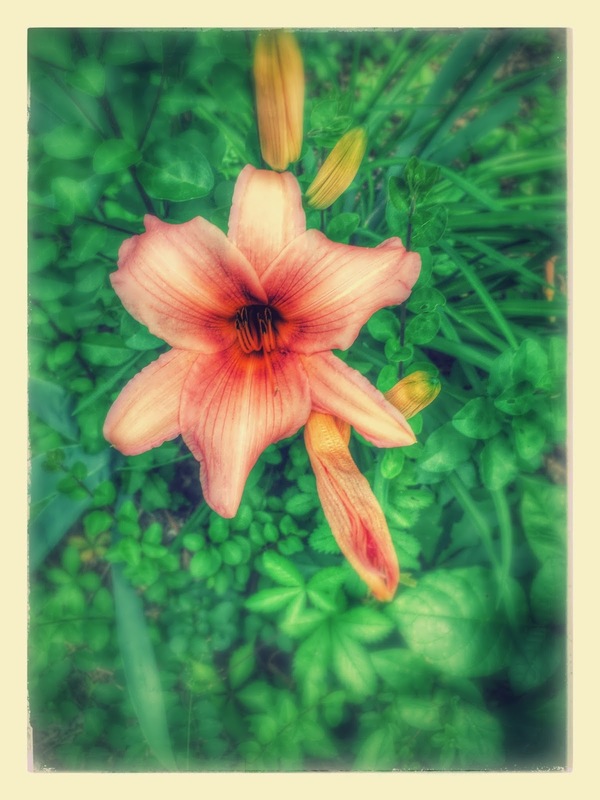 We saw the first bloom several days ago as we were walking and Jilda borrowed my phone to snap the photo. I didn't have a better one so she's letting me use it here. The Lily is definitely pretty, but the memories attached to it must make it shine. Late dinner. I hope you can sleep okay. A pretty picture from a pretty lady! !